We continue to be super busy here at Character Central, but I know that social media and the internet does a pretty good job of keeping everyone informed of the latest Disney developments, anyway. 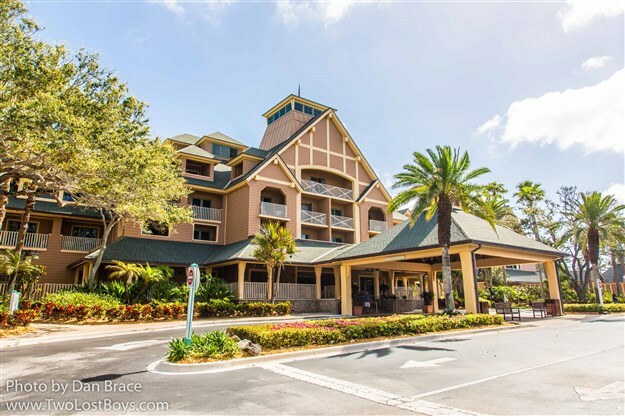 However, today I want to share with you an experience that we had just last week that we don't often hear about in the magical world of Disney - Disney's Vero Beach Resort in Florida. We only visited for the day, so you won't find in-depth room reviews here, or dining at the main restaurant, but we did do the Goofy's Beachfront Breakfast character dining, and walk around the whole property, including the store, spa, and outdoor areas. Disney's Vero Beach Resort is located in the town of Vero Beach itself, on the Atlantic east coast of Florida, about two hours south east of the Walt Disney World Resort. It's a fairly easy drive through vast stretches of central Florida farmland. 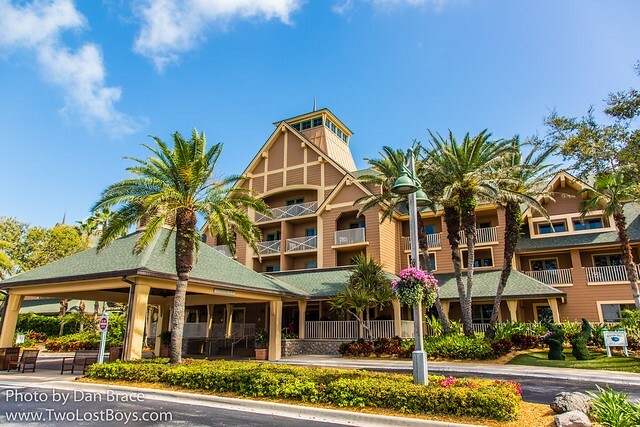 At the start of this month (September), Jon and I visited Hawai'i for the very first time, staying for a few days at Disney's Aulani resort in Ko Olina, Oahu. As you can imagine, with anywhere we visit for the first time, there is going to be a lot for me to talk about. I'm going to try to break things down into themes and categories, as to not be jumping around too much. This report will also be in two parts because of the sheer length of it, and the number of photos I want to share. I'm going to start with first impressions and our approach to the resort. Yesterday the Disney Parks Blog announced three premium dining options for New Year's Eve at the Contemporary Resort (WDW), two of which involve character appearances. For an evening of dining and dancing, “Disney Countdown to Midnight” includes delightful dining, live music, libations and more. An interactive band and DJ will fill the dance floor (and we hear that Mickey and Minnie may make a special appearance). Then welcome in 2018 with a flute of bubbly and a viewing of those legendary New Year’s Eve fireworks in the Magic Kingdom. Hours are 8pm to 1am in the Fantasia Ballroom. This party is designed for guests 18 and older. This one sounds very much like a dance party for over 18s, and while they mention Mickey and Minnie, it is very vague and I suspect that they'll be there either dancing or on a stage; not greeting. 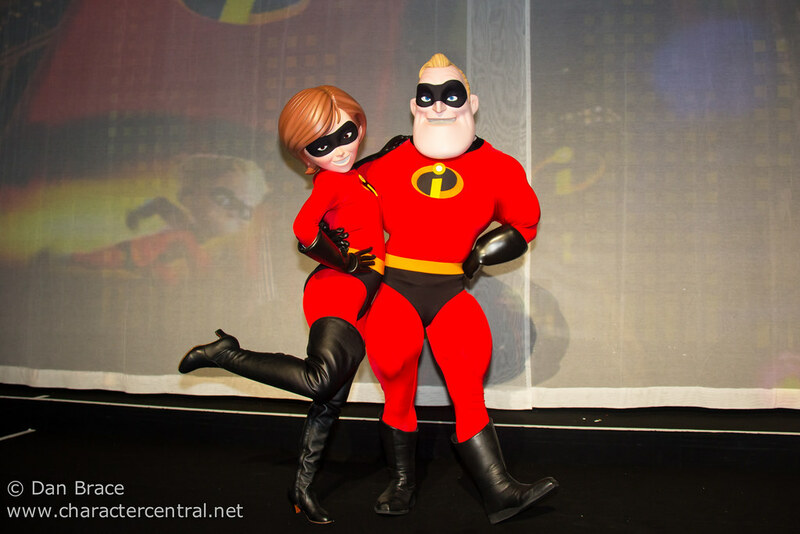 “Pixar Party: A New Year’s Eve Celebration” is for children of all ages, a family-friendly way to ring in the New Year with a Disney•Pixar-inspired dinner. Kids can have fun at Pixar face painting, a balloon artist and a boot camp with Sarge, while an interactive DJ will spin hits from Radio Disney (he’s going to be in a “Cars”-inspired DJ rig from Radiator Springs). Dinner is buffet style. At midnight, head outdoors to ring in the New Year with a viewing of the Magic Kingdom fireworks. Hours are 8pm - 12.15am. This one sounds like it could be a lot of fun, though I suspect the characters may be of the simpler variety rather than any rare ones from any of those movies listed. It would be amazing to see the likes of Bo-Peep show up, but I wouldn't expect it, sadly. Fine dining is the theme of the third party, “Down in New Orleans: A Disney New Year’s Eve Dining Experience” in the Grand Republic Ballroom. Inspired by the Disney animated film “The Princess and the Frog,” the room is beautifully decorated French Quarter style to transport you to the Big Easy. Actions stations will feature flavors such as oyster beignets, smoked salmon mousse cones with caviar, Kobe beef tartare and sheep’s milk ricotta gnocchi. Signature dishes will include herb-crusted Louisiana redfish, crayfish étouffée, Black Angus beef cooked two ways, braised short ribs and filet of beef with truffled celery root silk. A N’awlins jazz band will entertain during dinner, joined later in the evening by a vocalist who will bring to life the Academy-Award-winning classics from the film. Then slip outside with a glass of bubbly just before midnight to ring in 2018 with a private viewing area for the Magic Kingdom fireworks. Hours are 7pm -12.15am. This last one sounds pretty neat, but unfortunately does not detail any character appearances. The meal is "inspired by" the movie, and the main draw seems to be the musicians. It would be awesome to see all four characters appear there, but like with the other meals above, I wouldn't expect anything beyond what the post specifically states. The Disney Parks Blog did not release any pricing information, and recommend that you find out more details, and book, via the Walt Disney World Dining line, at (407) WDW-DINE. 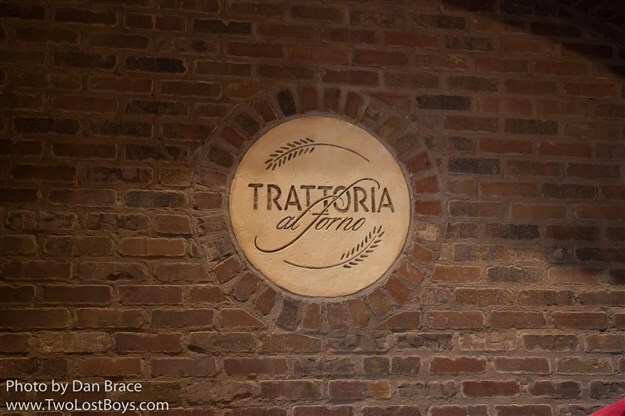 A couple of weeks ago we dined at Trattoria al Forno at Disney's Boardwalk (Walt Disney World) to try the new Bon Voyage Adventure Breakfast character dining experience. You do not need to enter the Boardwalk resort hotel in order to access the restaurant; it is located along the Boardwalk area itself, and not within the hotel. For those who like to know these things, for planning purposes or whatever, we had a 7.45am reservation. Our reservation was on a Saturday, and it seemed to be fairly quiet at that time. A couple of weeks ago we had lunch at The Garden Grill, inside The Land pavilion at Epcot. We had eaten there several times in the past, but it had been several years, so we thought it was time that we went back to get an updated view. The Garden Grill is a character dining experience, which has its own title of Chip 'n' Dale's Harvest Feast. Throughout your dining experience, Chip and Dale, as well as Mickey Mouse and Pluto, make their way around the restaurant for hugs, photos and autographs. Prices can be up to $60 per adult, depending on the time of day, plus tax and tip. You should plan to be in the restaurant for at least an hour. Reservations are accepted, and can be made on the My Disney Experience app. 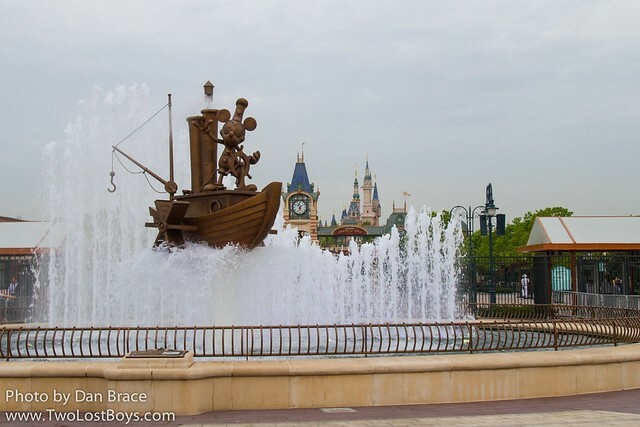 Earlier this month we visited the brand new Shanghai Disney Resort for the first time. We spent three days at the park, plus an extra evening at Disneytown and in the city. You can read about our arrival experience at the airport, using the taxi to the resort, and visiting the city itself, here on my Two Lost Boys blog. There's lots of useful information, so be sure to check it out! With that said, let's dive into part one of my report on the new resort. In this first part I'll be sharing our experiences of the hotels, Disneytown, general impressions of the resort area and the character dining we did at one of the hotels. 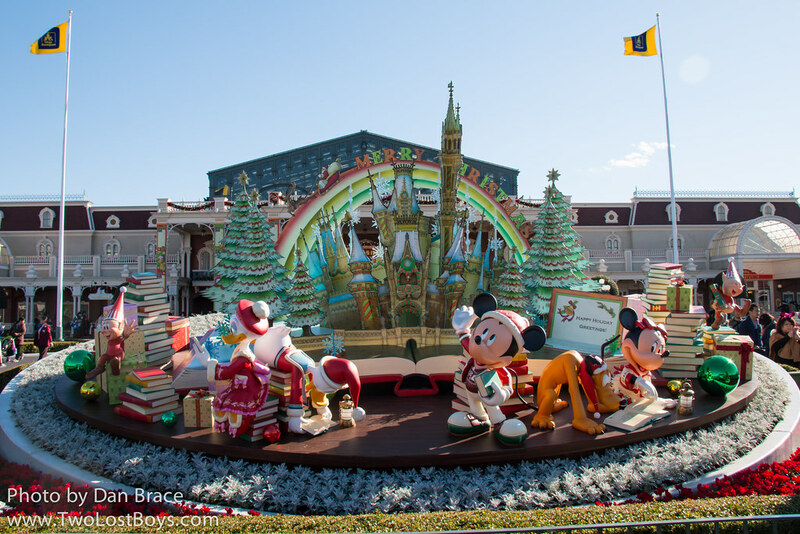 In part one of this Tokyo Disney Resort trip report I covered the Disney Resort Hotels, the Disney Resort Line monorail, Ikspiari, and Bon Voyage. In this second part I am going to share our adventures within the magical lands of World Bazaar and Adventureland, at Tokyo Disneyland park. Arriving at Tokyo Disneyland is an interesting experience. It is both one of pure joy and excitement, and one of sheer terror. Tokyo Disney Resort (TDR) has a very different feel to it, and really makes a Disney fan's emotions and senses go into over drive! Whether you arrive at the park via the monorail from the on site hotels, bus, or walking from Maihama (or any one of the other multitude of ways of arriving), you will ultimately find yourself on the vast concourse in front of Tokyo Disneyland park (TDL). You'll find a number of amenities, including a guest relations booth, picnic area (park left), coffee shop (park right), the TDL monorail station, and towering above everything, the Tokyo Disneyland Hotel (see part one for details of the monorail system and hotels). Today the Disney Parks Blog announced that a brand new rotational seasonal dining experience, titled "Minnie's Seasonal Dine at Hollywood and Vine", will take place at the Hollywood and Vine at Disney's Hollywood Studios. A little while ago Walt Disney World shocked fans by announcing a brand new Christmas meal there this year, which I talked about in detail here on the blog. Now, it would appear that Walt Disney World have decided that along with the former Star Wars meal, there was enough interest in seasonal dining that they would offer it year round! To quote the Disney Parks Blog, the restaurant will now offer "cheerful togetherness of the holidays, the glamour of Hollywood, the delight of spring, the excitement of summer and the frightening fun of Halloween. With each new season, look for unique music, décor, all-new costumes, menu items and interactive musical moments." 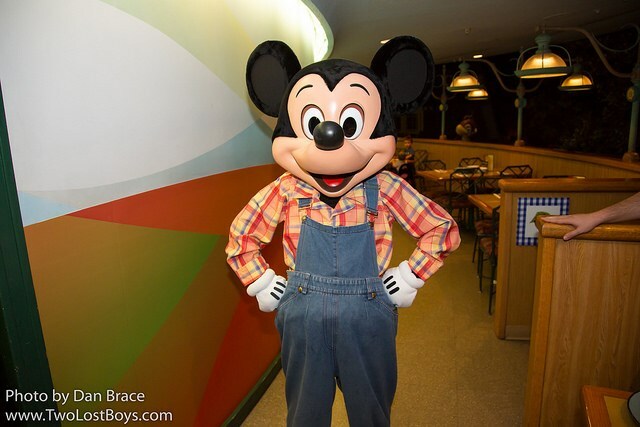 In the comments section, it was confirmed by Rachel Brent of the Disney Parks Blog, that the Disney Junior meal that currently takes place there will continue for breakfast and lunch, before Minnie and friends arrive in the early evening. The first meal, which will run from January 4th to March 20th, 2016, will "a dinner party celebrating the magic of the movies and the glamour of Hollywood." For those of you who have ever been to Disneyland Paris, and are aware of Inventions there, you will know that themed dining is something that fans who visit both Walt Disney World and Disneyland Paris have wanted to transplant from the Parisian resort for a long time. 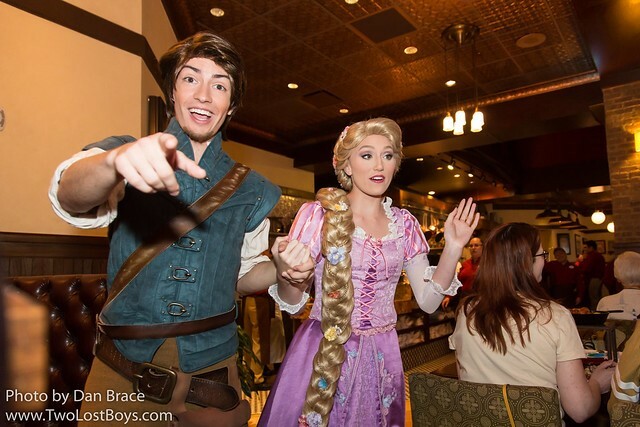 Inventions has a weekly themed Sunday Brunch, which always offers special characters and special costumes. While expensive, it is a great way to meet some rare and cool characters, and see your favorite characters in special outfits. Obviously, this new seasonal dining at Hollywood Studios doesn't quite go to that extent, but it's a refreshing change, and one that we very much welcome. Reservations for the new meal, starting January 4th, will open from October 27th this year. Walt Disney World Resort finally put online the speculated holiday dining for Hollywood and Vine at Disney's Hollywood Studios, this Christmas season. There had been a couple of months of speculation, since the dinner option for the restaurant had disappeared. "[A] rare chance to see Mickey, Minnie, Donald, Daisy and Goofy all together (in all-new holiday finery) making merry with you and your Guests! Get hugs and photos with your happy hosts, and wonder as you wander through the dazzling décor, heartwarming music and holiday-themed food and activities—followed afterwards by special VIP seating for the popular Fantasmic! nighttime spectacular." That's right - it's a Fantasmic! dining package as well as character dining. We are glad to hear that there will be brand new outfits, too! The brand new experience will run from November 7th 2015, until January 3rd 2016, and will cost $52.99 per adult and $31.99 per child age 3 to 9 (plus tax and gratuity). You can visit the official Disney Dining page to make your reservations, or call (407) WDW-DINE or (407) 939-3463. UPDATE: If you call the Disney Dining line, you can make telephone reservations without the extra expense of the Fantasmic! package. Prices are $50.05 per adult and $29.81 per child age 3 to 9 (including tax but NOT gratuity). Will you be making reservations? We made ours already! Header image is for placement and decorative purposes only, and does NOT reflect the costume worn by Minnie Mouse at this new experience. 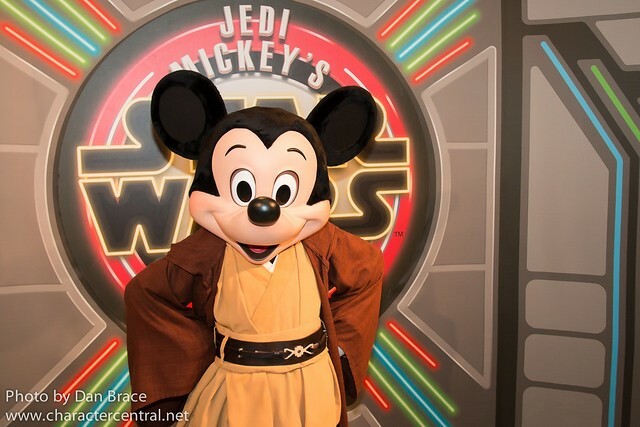 Quoted text and prices come from this official Disney page here, and are copyright Disney. 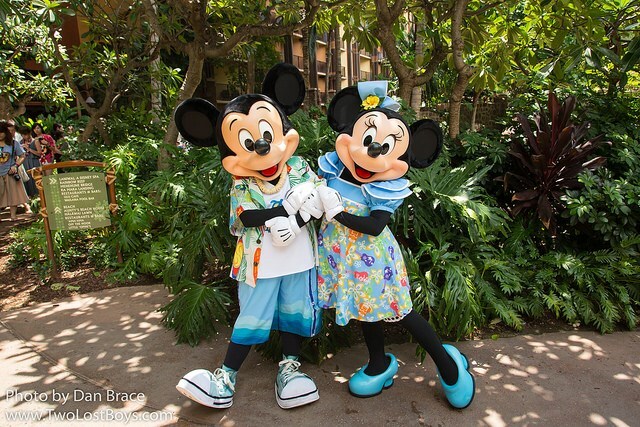 Throughout the years at Walt Disney World, Minnie Mouse has appeared in hundreds of costumes, making her wardrobe one of the most diverse in the world! 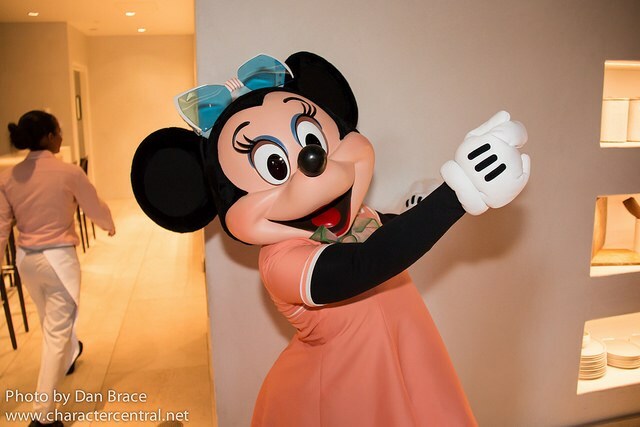 From shows, to parades, and character greetings, Minnie has an outfit for every occasion! I thought it would be fun to take a look at the outfits you can meet Minnie in throughout the year at Walt Disney World. The costumes below are based on our most recent experiences at Walt Disney World, however, as always, schedules, events and greetings are subject to change and cancellation by Walt Disney World, without prior notice. 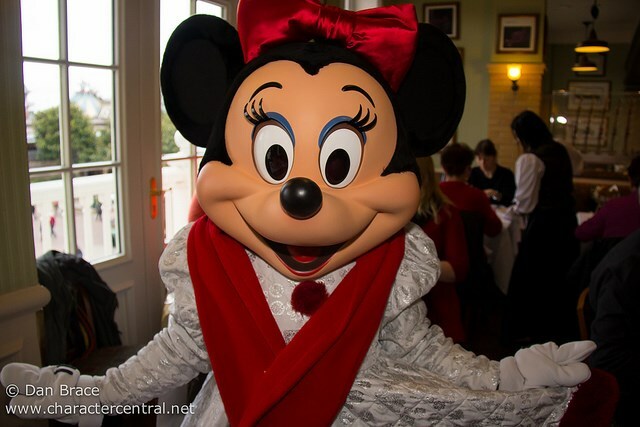 Let's start with Minnie's regular locations around the four Walt Disney World theme parks.